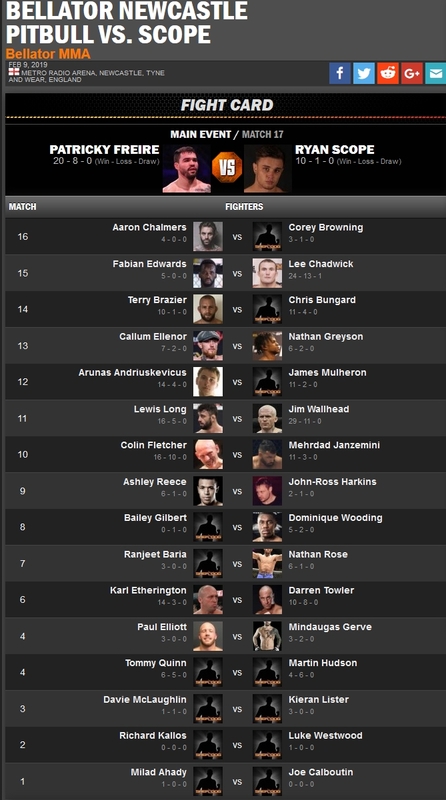 This card is apparently going to be broadcast on Channel 5 UK at 10 pm local time. No word on international broadcast or streaming yet four days before the card. Supposedly this card is going to be on the Bellator app, but to me that means you have to watch it on your Android or iPhone smartphone or tablet and not full screen on a Windows computer or tv like I would prefer. This card is near where I live. I bet Pitbull at -450 straight to win 1u and 1u on all four faves in a chalky parlay at +145 net. Was lucky that Patricky got the split decision in the main event. 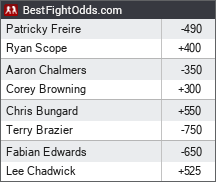 Missed a great opportunity to fade reality star Aaron Chalmers as a big favorite. Broke even anyway.